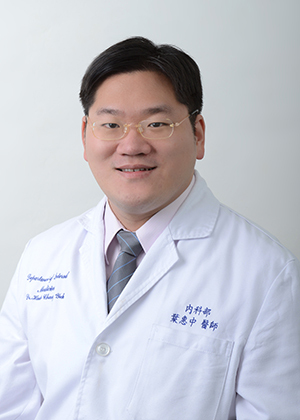 Attending physician; Department of Gastroenterology and Hepatology, Chang Gung Memorial Hospital, LinKou medical center. Upper and lower gastrointestinal endoscopy (Including therapeutic endoscopy, such as polypectomy, endoscopic mucosal resection(EMR), endoscopic submucosal dissection (ESD). Hepatitis, liver cirrhosis survey and treatment.